Minecraft is fast approaching ten years of being one of the world’s most popular games, with hundreds of millions of active players across all platforms. It has revolutionized the industry and has turned some of its most talented players into multi-millionaires. It dominates YouTube, is on the shelves of every toy store, and it even has its own Lego range. Some people play Minecraft because it offers a lot of creative freedom; Minecraft has been used by architects and in schools as an educational tool. For others, it’s the adventure; such a vast world can be explored endlessly and provides hours of entertainment. If you’re late to the party and have only just bought the game, you might not know where to start. The game drops you into a very vast world, and it can be a very confusing game to get started with. Each world is randomly generated from a string of numbers (known as a seed), so no two worlds are the same. Fortunately, once you’re armed with a few basics and a pickaxe, you’ll learn the ropes in now time. So let’s dive into the basics. Placing a stick below two pieces of cobblestone would make a stone sword. 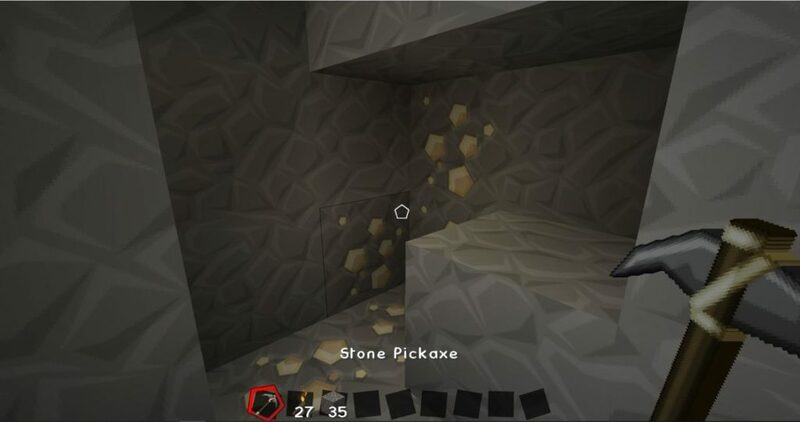 Swap out the cobblestone for wood, iron, gold or diamond to create different variations, diamond being the strongest and most durable. Before you start crafting anything, however, you will need to build a crafting table, which is made from four pieces of wood. This is a very simple process and can be done as soon as you step foot into your first world. Locate a tree and then punch out some wood by holding down left-click. 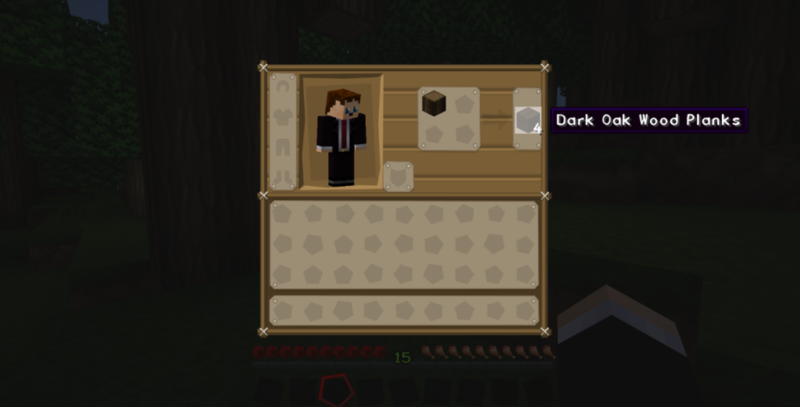 Press the e key to open your inventory and select the wood, placing it into the four boxes next to your avatar. Four oak wood planks will appear. Click the oak wood planks and drag them to your inventory. The original piece of wood will disappear because you have turned it into planks. Then, fill the four boxes where you placed your original piece of wood with the four wood planks. A crafting table will appear. 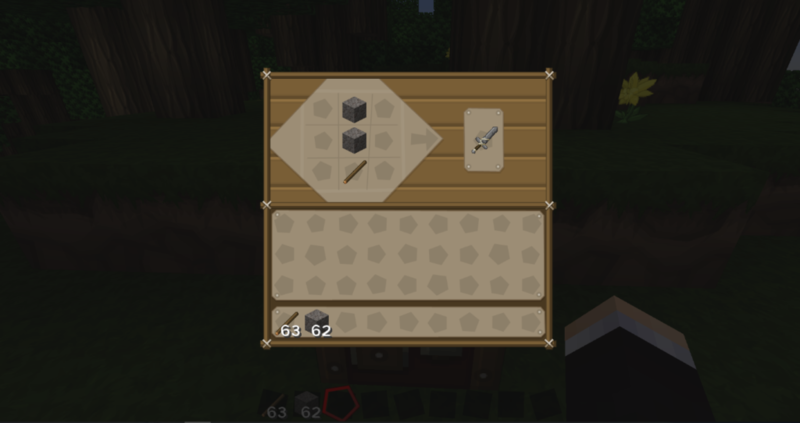 Drag the crafting table to your hotbar (the single line of boxes) and then exit your inventory. 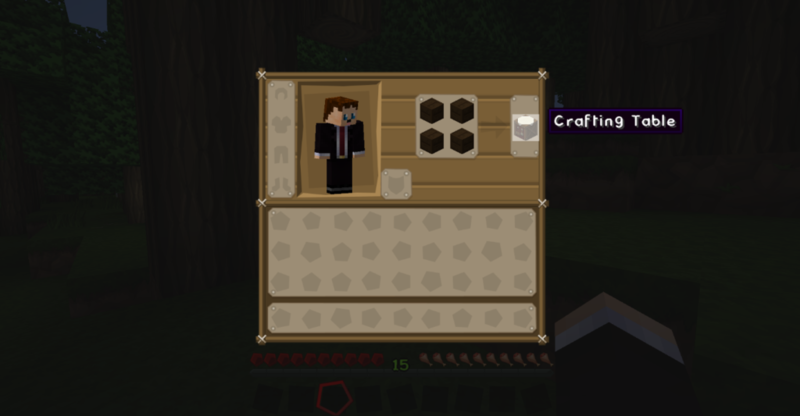 The crafting table will appear in your hotbar and you can select it by scrolling. When it’s selected (i.e. it is in your hand), place it on the floor by right-clicking. You now have a crafting table, which is a 9×9 area that allows you to craft anything in the game; just right-click the crafting table to use it. Your first night in the game is the hardest because you start with nothing. When you spawn for the first time, the in-game time is noon. You only have a short amount of time (ten minutes) to get a basic shelter together in order to survive. If you don’t build a basic shelter, you’ll spend your first night repeatedly getting mauled by mobs – not fun! To survive your first night, you’ll need to grab yourself some wood to build a basic shelter and create some wooden tools, then hunt down some coal to make a couple of torches. 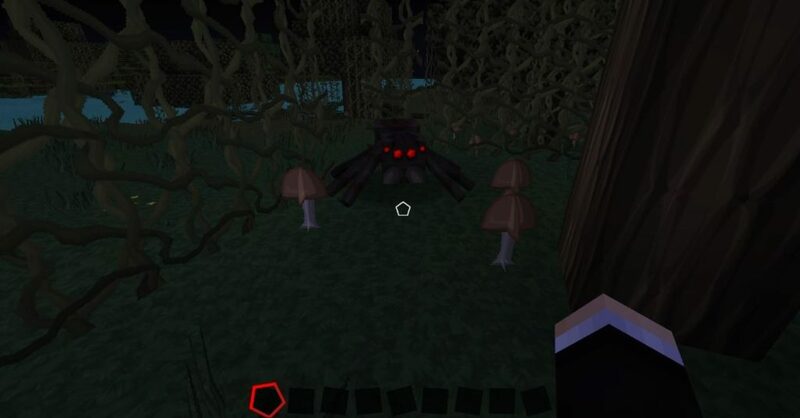 Mobs (monsters) spawn in the dark; you really don’t want to create a shelter and then have a monster spawn inside it! “Mobs” is the term used to describe Minecraft’s animals and monsters. 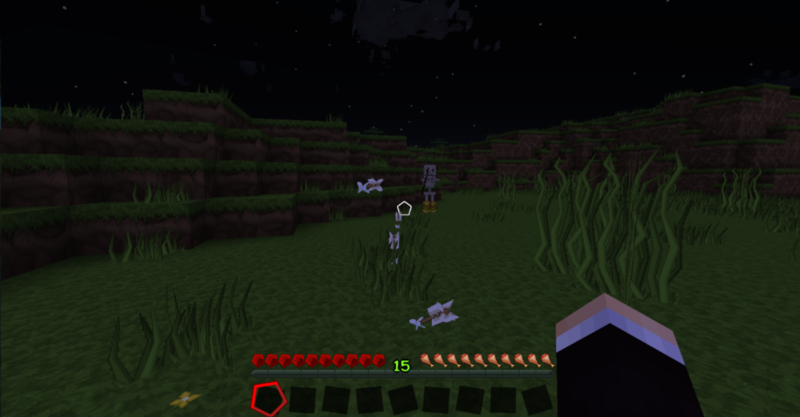 Mobs can either be passive (such as sheep or pigs) or aggressive, and there are many different adversaries in the game that have the potential to harm you or destroy your creations. 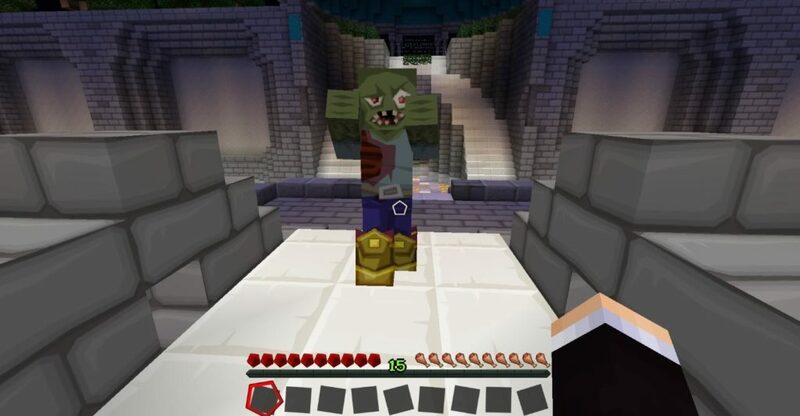 Over the years, mobs have been a huge focal point for the Minecraft development team, and the number of mobs has virtually doubled. However, the mobs you should pay special attention to while you’re still finding your feet are the aggressive ones that can spawn in the Overworld. Zombies are quite easy to fight; you just need to keep hitting them. Zombies will come after you if you get within a certain radius of them, and they can beat down doors. They are very slow and aren’t a huge threat, but a group of them can be deadly. Spiders only attack you at night. These pesky monsters have the ability to climb walls, jump and move fairly quickly, though, like Zombies, they are quite easy to kill… most of the time. Skeleton Archers are a serious threat even for experienced players. This very irritating monster carries a bow and arrow and has the ability to shoot you with it. As a result, these monsters can do damage to you from a considerable distance, and they are very accurate. 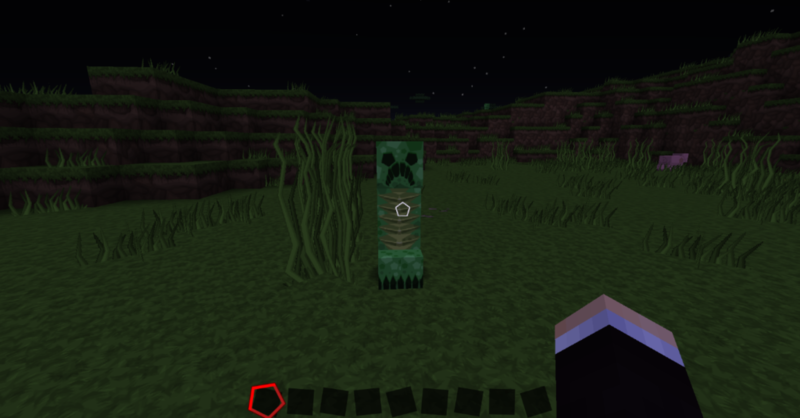 Creepers are perhaps the most widely known and most destructive of mobs in the game, especially when you are just starting out. Creepers explode when you get within a certain radius of them and can decimate small bases. It takes them a couple of seconds to explode, but they will chase after you, so just stay well away! 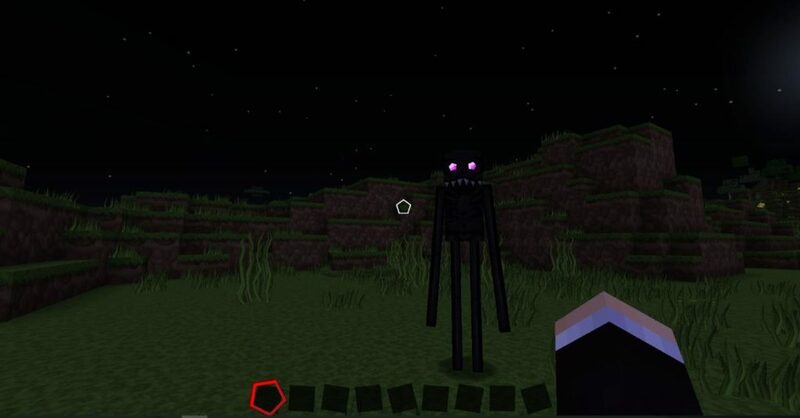 Endermen are the final mobs you need to worry about in the early stages of your Minecraft life. These tall, dark, and slender mobs may look pretty scary… because they are. Endermen are passive… until you look at them… and then you’re going to die, probably, because they have the ability to teleport away from and then back to you, attacking from a different angle. Just keep as far away from them as possible; you don’t stand a chance as a new player! As you have probably guessed by the name “Minecraft,” mining is pretty much the most important aspect of the game. When you’ve survived your first night, have a basic set of tools, and know which nasty monsters to look out for, you’re set to begin delving underground and exploring the world beneath you. The world extends down below the grass by around 100-130 blocks; it is here where you will find all the best resources, treasures, and loot. You’ll find iron, diamonds, and gold, with which you can create more durable tools; and redstone, which is Minecraft’s answer to electricity and can be used to make circuits. Naturally occurring iron ore can be mined with a stone pickaxe and smelted into iron bars. 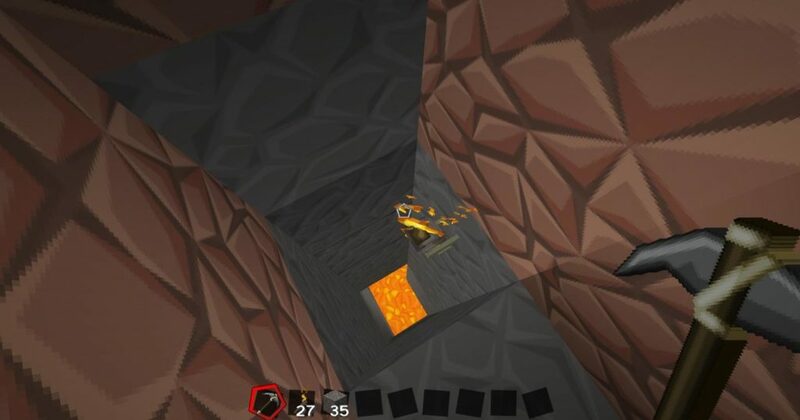 It is best to start mining below your shelter, because then you are safe from monsters and you don’t need to run through the wilderness to get home and risk being attacked by a monster. Don’t dig straight down, though, or you may fall into lava or a chasm. The best way to mine is to dig in a stairway pattern; that way you avoid falling into deadly pits and have a clear pathway to get back home. No matter what method you use to mine, though, always make sure you have a plentiful supply of torches and food; it is dark underground, which makes it hard to see and is the perfect environment in which monsters can spawn and ruin your day! It is easy to get lost in mining, and people often spend many hours doing it… it is quite therapeutic, and Minecraft’s ambient music only adds to this. Remain vigilant at all times, because monsters do spawn underground in pre-existing caves and dungeons… in fact, it can be just as dangerous below ground as it is above ground. Now that you have the basics of Minecraft down, take your gaming to the next level with our guides to how to install Minecraft mods and how to change skins in Minecraft.